Am J Med Sci 2006;331:154-6. ECG 1. The ECG above is from a 53 years-old hypothyroid woman with a TSH level of 18. There is widespread T wave flattening . ECG 2a. The ECG above was recorded from a 44 years-old man with mitral stenosis. 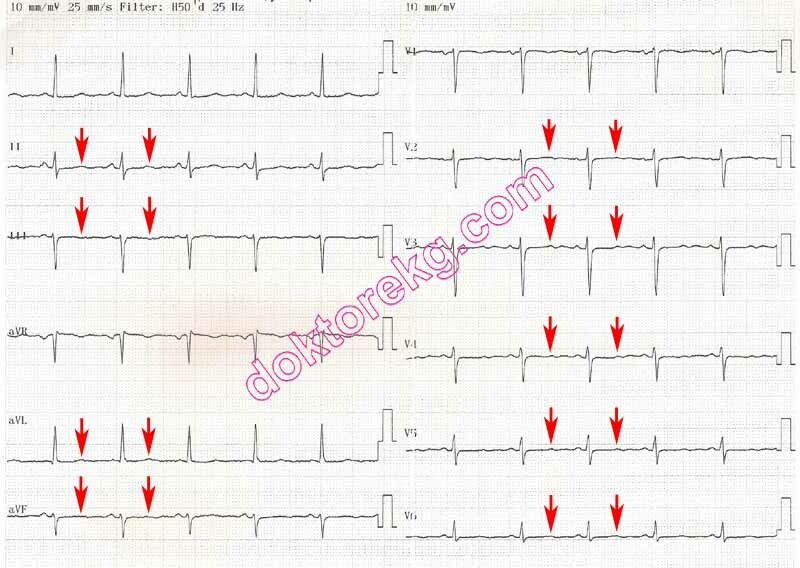 The rhythm is atrial fibrillation with a high ventricular rate. ECG 2b. The ECG above belongs to the same man. It was recorded several months after the ECG 2a. ventricular rate. He is not taking beta blocker or calcium channel blocker. ECG 3. 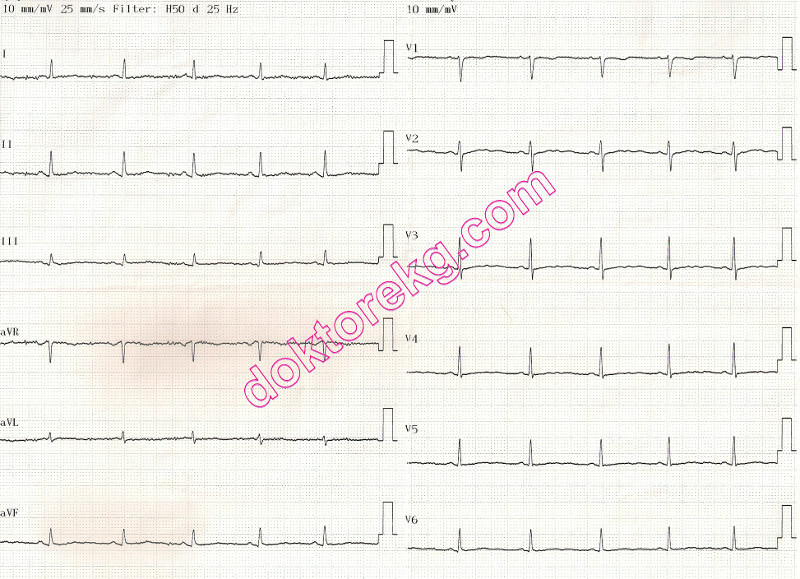 Ventricular bigeminal rhythm in the Holter recording of a 53 years-old woman with hypothyroidism. Her TSH level is 18 mIU/mL. she was referred to a cardiologist. 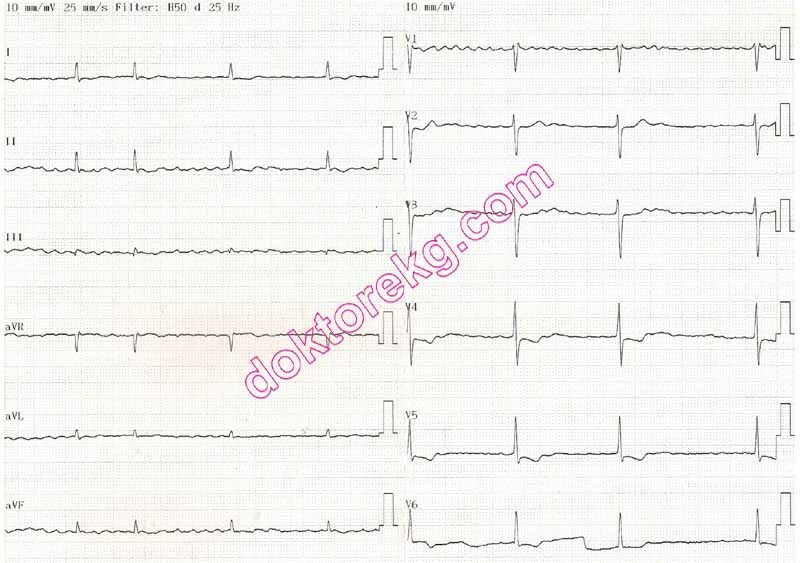 Nonspecific T wave abnormality is seen in almost all leads.